the perfect housing for a loved one. SeniorHomes.com (www.seniorhomes.com) is a free resource for people looking for senior housing or senior care for a loved one or themselves. SeniorHomes.com features hundreds of expert-written articles and a comprehensive directory of care options. For example, check out their Phoenix Assisted Living page for a complete listing of nearly 30 facilities in the immediate area. Their mission is to provide the most valuable, reliable, and truthful information on the web for people searching for a Senior Home or Senior Care. There are almost 40 million people aged 65+ in the United States, equaling nearly 13% of the population. By 2030, there will be more than 72 million older persons making up 19% of the population. The SeniorHomes.com founders, Jay Goldstein, and Chris Rodde, saw this demographic change as evidence that a quality, trustworthy site on senior care and housing was desperately needed. For families and their loved ones: The process of finding housing is emotional and time consuming yet vitally important. 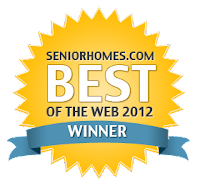 SeniorHomes.com was created to be a starting point for searching. It is also a valuable resource for seniors and their family members to continue visiting for tips on choosing the right senior living facility and information on adequately managing the care of a loved one residing in a senior living community. Their expert-written articles help you learn more about the process of looking for Senior Homes and their library of resources grows day by day. Tens of thousands of options are included in their directory. The directory is continually being expanded. They continue to invest in their directory and local content, so that you can reliably count on the site as a trusted resource. I myself is scared of aging wherein I have to live on retirement communities New York. I'm scare that I'd get bored, useless and gloomy. Thank you for these advice though. These are very helpful to prepare myself for my retirement. This website is very helpful not only for senior but also for children who are looking for reliable health care for their parents. My parents live in retirement communities Long Island and they're having a good time in that place. I look on to this website every time they ask something like medicine, nursing aid etc and this has been really useful. For seniors that stay alone in house, assisted living facility is a better option. I think the most important aspect is care, security and comfort. 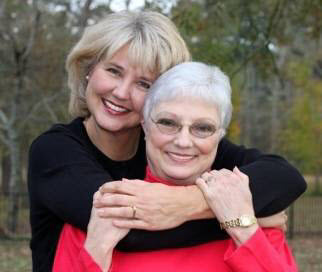 It’s always something to be considered when choosing an assisted living community for your loved one. Incontinence Underwear is Pretty Again! Are Reusable Adult Diapers Best?